NETZSCH Pumps North America, LLC, experts in solutions designed specifically for difficult pumping applications, announces that global parent company NETZSCH Pumpen & Systeme GmbH, headquartered in Germany, has supplied its NEMO® B.Max® mixing pump to biogas producer Bioenergie Schainbach GbR. The pump is being used as part of a pulp feeding system specially designed for bioreactors in order to improve the gas yield and subsequently the efficiency of their fermenter. The objective in implementing the pulp feeding system with NEMO B.Max pump was to limit stirring times in the fermenter to a maximum of 15 minutes per hour, and to lower the required quantities of feed by five to eight per cent in comparison to a standard biogas plant. The NETZSCH pump is designed so that a homogeneous medium suitable for pumping is achieved right from the mixing chamber. At the same time, the special connection between the pump and the fermenter ensures additional agitation in the fermentation tank. This means that stirrer running times could be reduced by 40 per cent and the substrate quantity required is likely to fall by eight per cent for the same gas yield, thereby improving energy efficiency and overall gas yield for the plant. NETZSCH specially developed the NEMO B.Max mixing pump to achieve the raw material homogenization required for biogas fermentation. The pump can process a wide range of biomass into a medium suitable for pumping that can be continuously conveyed at high levels of viscosity, regardless of pressure. The housing in the mixing area of the pump is strengthened to compensate for strain, and the feed hopper and mixing screw are specially coated to preserve the metal against contact with abrasive and aggressive media. 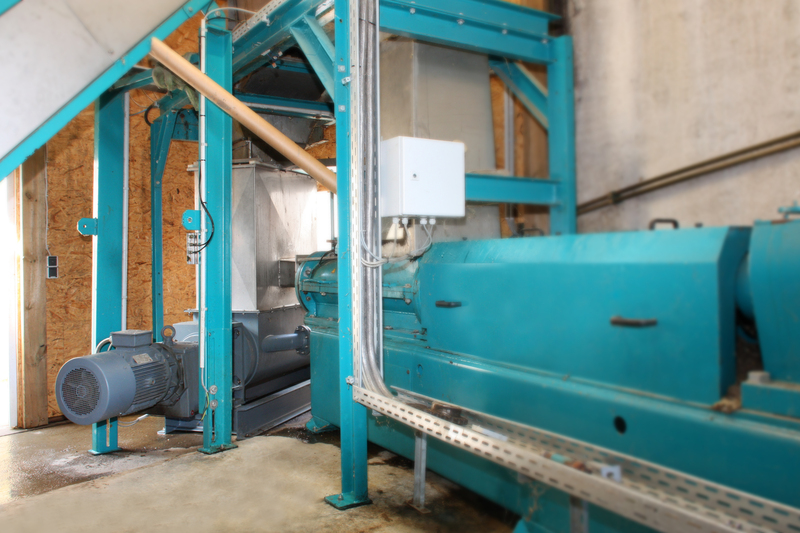 This innovative design specifically for biomass processing delivers an exceptionally long service life. The biogas plant in Schainbach/Ehekirchen converts around 50 metric tons of raw materials such as grass, maize, and whole crop silage daily. An associated cogeneration unit produces one megawatt of electricity from the gas. The related heat produced is partly used to control the temperature of the fermenter, and partly supplies heat to homes in the surrounding area via a small district heating network.